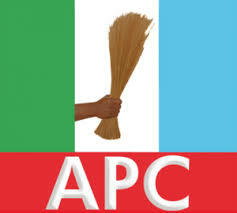 Prof. Razaq Abubakre, a former federal commissioner in the Public Complaints Commission (PCC), on Sunday appealed to members of the All Progressives Congress(APC) in Osun to jettison the agitation for zoning of the party’s governorship’s ticket. Abubakre, who represented Osun in PCC between 2012 and 2018, said this while addressing a group of Osun students on Sunday in Osogbo. The News Agency of Nigeria (NAN) reports that the Independent National Electoral Commission (INEC) has fixed Sept. 22 for the Osun governorship election. The former PCC commissioner urged the party to consider merit in choosing its candidate instead of zoning. Abubakre, a former Vice-Chancellor of Al-Hikmah University, Ilorin, said that since there was no zoning arrangement in the party’s constitution, qualified aspirants from any part of the state should be allowed to contest for the ticket. According to him, the APC should choose a competent, reliable and God fearing candidate to fly the party’s flag in the election. “I will appeal to APC members to jettison the zoning arrangement and allow merit to be their compass in choosing their candidate for the election,’’ Abubakre said.